There are tons of work at home positions available now, but sometimes it can be hard to find ones that are hiring immediately. If that’s your struggle, you’re in luck. This list details companies that have positions available almost all the time, so you are more likely to get hired quickly! No more sifting through job listings for seasonal work. Check out these companies and apply to the one that best fits your skills! 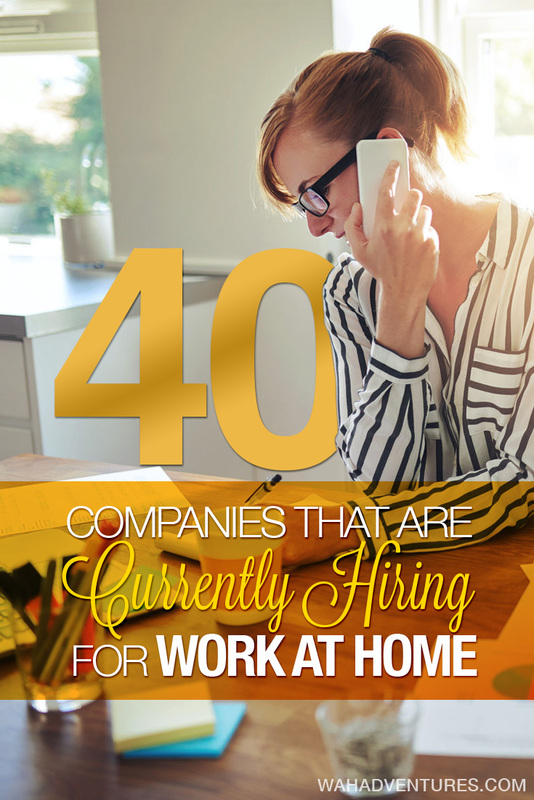 What are the Best Companies That Hire Work from Home Employees? The following list of companies are all ones that hire year-round, and almost always have positions open for you to apply for. 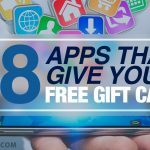 Most of these jobs are based in customer service, so if that’s not your area of expertise, you may have a difficult time finding the perfect job for you. But, there are some others on this list with jobs in tutoring, transcription, research, and more. Just make sure that the job you choose is the best match for your skills so you can do it well and have an awesome experience! 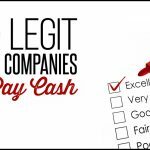 These companies provide legitimate work from home jobs hiring now. Alorica@Home (Review) – Alorica is one of the leading work from home companies. As an agent, you’ll provide clients with their various needs, like customer service or live chat support. You can choose a schedule that works for your needs and you’re paid bi-weekly. Apple – The leading tech company almost always allows people to apply for its Apple @ Home program, providing tech or customer support to Apple customers. Apple even gives you an Apple computer for work use! Apptical (Review) – Apptical looks for telephone interviewers, administrative support agents, and tech support agents to work from home. Medical or insurance background is preferred, and you can earn more if you’re bilingual. Arise (Review) – Arise can help you start a home business if you’re looking to run a call center in your home by matching you with clients. You can also apply for its open positions for tech support and customer service agents if you’d rather get hired on as an employee. Asurion (Review) – Asurion almost always has positions open for English or bilingual customer service representatives. 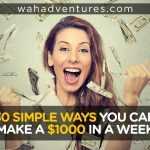 You’ll have a base pay with opportunities for monthly bonuses, and you’ll keep the same schedule for six months. Plus, you’ll get full benefits after 30 days! Brainfuse – Brainfuse keeps its tutor application open year-round. You can send your resume to the company and if it looks like a good fit, you’ll be sent a code to complete the application process. You can tutor grades K-12. Call Center QA – You can always apply to Call Center QA for its Telephone Mystery Shopper position. You can get paid $5 per mystery shop call and brief post-survey. You must be at least 18 and live in the United States. Concentrix (Review) – Concentrix hires Product Support Advisors to handle inbound customer service calls for its clients. Residents in all states but California, Vermont, and Alaska can apply. The lowest pay rate is $10.25 per hour, but vary with clients. 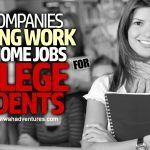 Convergys (Review) – Convergys always has openings for customer service agents. You’ll get varied, flexible schedules, paid training, opportunities for advancement, and a full benefits package. Direct Interactions (Review) – Direct Interactions looks for customer care agents who have experience caring for others, such as veterans, stay-at-home caregivers, and those with disabilities. You can e-mail the address on the website for more information about open positions. Cigna – The global health service company hires people with medical backgrounds for a variety of work at home positions. You’ll need experience, licenses, or technical skills for these positions. Cruise.com – Cruise.com hires sales agents and support agents to work from home. You’ll need at least 1 to 2 years of cruise sales experience and you’ll have to attend a mandatory online training class for four weeks. Enterprise (Review) – Enterprise often lists openings for location-based customer support agents. You’ll need to live in the state the position is listed for. Training is online, but can take anywhere from 4 to 11 weeks. Gengo – Gengo lets bilingual language tutors work from home to provide their skills to others. You can sign up at any time, and if you can complete the series of language tests, you can start working immediately. GoFLUENT (Review) – GoFLUENT provides language training services to businesses. You can provide language coaching to businesses via phone, computer headset, or webcam. Some college is required, but a degree is preferred. Great VirtualWorks – Great VirtualWorks is an independent business opportunity rather than employer, but it can help you start working at home right away. As an independent agent, you can provide call center, sales, tech support, and other services from your home office. HSN – HSN has expanded its work from home workforce in recent years, allowing several customer support positions to open. You’ll need to apply to the closest location, but there are several to choose from. InteliCheck – Independent contractors can sign up for a telephone mystery shopper position through InteliCheck. Must work at least 10 to 30 hours between the hours of 8 am and 7 pm EST. Pay varies between $9 and $14 per hour. Leapforce (Review) – Leapforce allows you to work from home evaluating web searches to help improve search engines. You’ll be an independent contractor and will have to pass a pretty lengthy exam before getting accepted. Must be at least 18 years old. Lifebushido (Review) – Lifebushido provides virtual assistant services to business clients. You can always apply for a position using the e-mail address listed on the website. Must be available to work between 5 and 20 hours per week. LiveOps (Review) – LiveOps is one of the most popular work at home call center agent companies. You can provide a variety of services, like roadside assistance and insurance claims, to clients. Must pass a background check, but you’ll be considered an independent contractor rather than employee. Maritz Research (Review) – Maritz Research often has openings for Market Research Interviewers. This is a part-time position reaching out to consumers regarding products and services to provide feedback to clients. You’ll work between 20 and 28 hours per week and bonuses are available for good performance and consistent attendance. NexRep (Review) – NexRep is similar to LiveOps, matching independent contractors to clients. You can provide sales, tech support, and various other services via email or phone calls. Open English – Open English seeks English language tutors to work a flexible schedule providing English tutoring to its students. You’ll conduct small group sessions and submit feedback on students’ English writing. Pleio Goodstart (Review) – As an agent for Pleio Goodstart, you’ll contact patients and follow up with them about their healthcare needs. You’ll need to submit a practice recorded script so reviewers can get a sense of your speaking tone. Rev (Review) – Rev is a transcription company that frequently hires new transcribers for its workload. You can earn between 40 and 65 cents per audio minute for transcription or captioning, or 5 to 7 cents per word for translation. Sedgwick (Review) – As an agent for Sedgwick, you’ll help clients process claims. The company offers a full benefits package for its employees, including reimbursement for phone and internet expenses every month. Sitel (Review) – Sitel Work@Home agents receive inbound calls for a variety of services, like billing inquiries, product orders, or technical support. Sykes (Formerly Apline Access) – This company offers call center positions for travel agents, customer service agents, and more. Sykes consistently has open positions and is practically unbeatable with its benefits package including 401(k), tuition reimbursement, and medical benefits. Talk2Rep (Review) – Talk2Rep constantly has open positions for chat sales agents and customer service representatives. You’ll be an independent contractor, and pay varies between $9 and $14 per hour. TeleTech @ Home (Review) – As an agent for TeleTech @ Home, you can provide services to clients by phone, e-mail, chat, or social media. You must be at least 17 years old and have a high school diploma or GED. Schedule and pay varies with each project, but you’ll be required to commit to about 4 to 6 hours per shift. Time Etc. (Review) – Virtual assistants for Time Etc. can perform a number of tasks, ranging from social media management and blogging to travel and schedule arrangements. You’ll need to commit to a minimum of 5 hours per week, but scheduling is flexible. Pay rate starts at $11 per hour. TranscribeMe (Review) – TranscribeMe always looks for talented transcriptionists to help with its workload. Most work is shorter clips rather than lengthy audio. 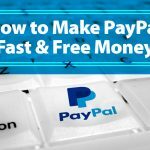 You get paid weekly with PayPal. Tutor.com (Review) – Tutor hires individuals to work from home tutoring students in grades K-12 and adult learners. It has a variety of subject openings but you’ll need to pass a test in the subject matter to start tutoring. U-Haul (Review) – U-Haul hires reservation agents several times through the year to work from home helping customers reserve their rentals. Pays $10 per hour plus bonuses. You’ll need to complete four weeks of paid training from home. Westat (Review) – Work as a telephone data collector at home for Westat. The position is part-time between 20 and 40 hours per week. Must be at least 18 years old and available to work on evenings and weekends for at least some shifts. Working Solutions (Review) – You’ll be an independent contractor providing services to Working Solutions clients. The application process takes about an hour and you’ll receive an acceptance notification if you’re a good fit. Then you can start applying for separate programs that match your skills. Worldwide 101 – Worldwide 101 hires Virtual Business Assistants to provide a wide range of services to clients. You’ll need to complete interviews and testing before you’re accepted. Pay varies between $15 and $20 per hour based on skill and seniority. Ver-A-Fast (Review) – Become a Customer Service Representative while working from your home office. Schedule is flexible, but you’ll need to work at least 16 hours each week, mostly on weekends and during evenings. VIPdesk Connect – Hires Sales Brand Ambassadors in AZ, CO, FL, GA, IL, IN, MD, NV, NJ, NY, OH, TX, UT, and VA to provide sales services to clients. Must be fairly flexible in your schedule and available for full-time shifts. Pay starts at $10 per hour with opportunities for bonuses and weekend pay differential. VoiceLog – VoiceLog hires independent contractors as work at home Live Operators. Shift are open for evenings and late nights, and you must be available for two to six hours per shift and at least 20 hours per week. Pay starts at $8.50 per hour. 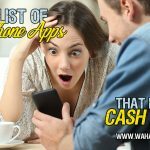 This list is the perfect start to get you working right away. But if you’re looking for some more places that may not be hiring right now, but could be soon, check out some of our other popular posts. Love reading? Get paid to be a book reviewer. These jobs hire at-home reservation agents. Here are some of the best work at home jobs for RNs. These jobs pay every day or every week! Here is a huge list of part-time online jobs. These data entry jobs are perfect for people who want to work from home. Get paid to write for greeting card companies. Huge list of virtual assistant companies to work for! It’s a great list of online and work at home job resources. I have already gone through many of them and some of them are new to me. Thanks a ton for such great resources. I’ll share it on my all social channels.